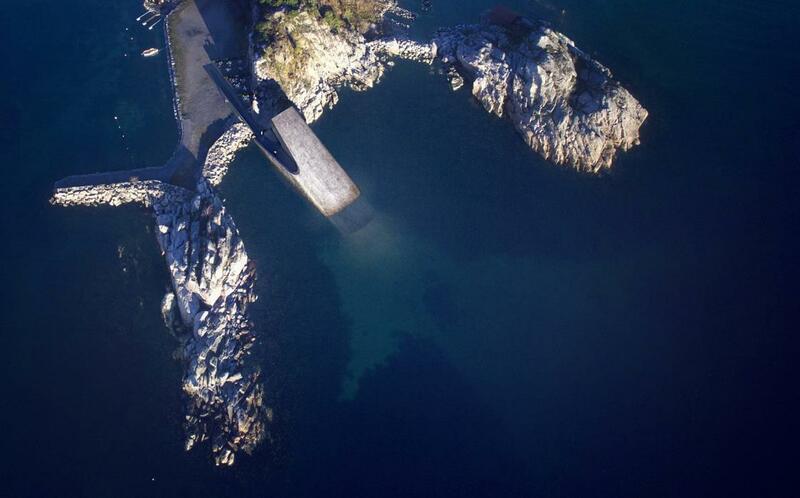 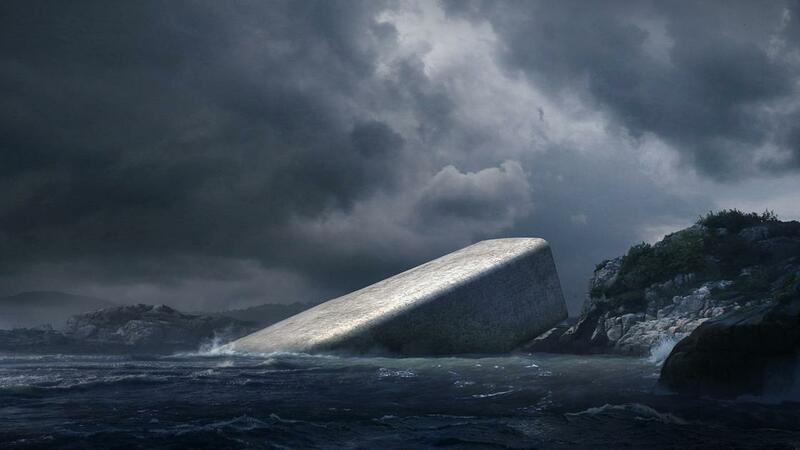 Named UNDER, this project will be the first underwater restaurant in Europe, but also an artificial reef for the study and protection of marine life! 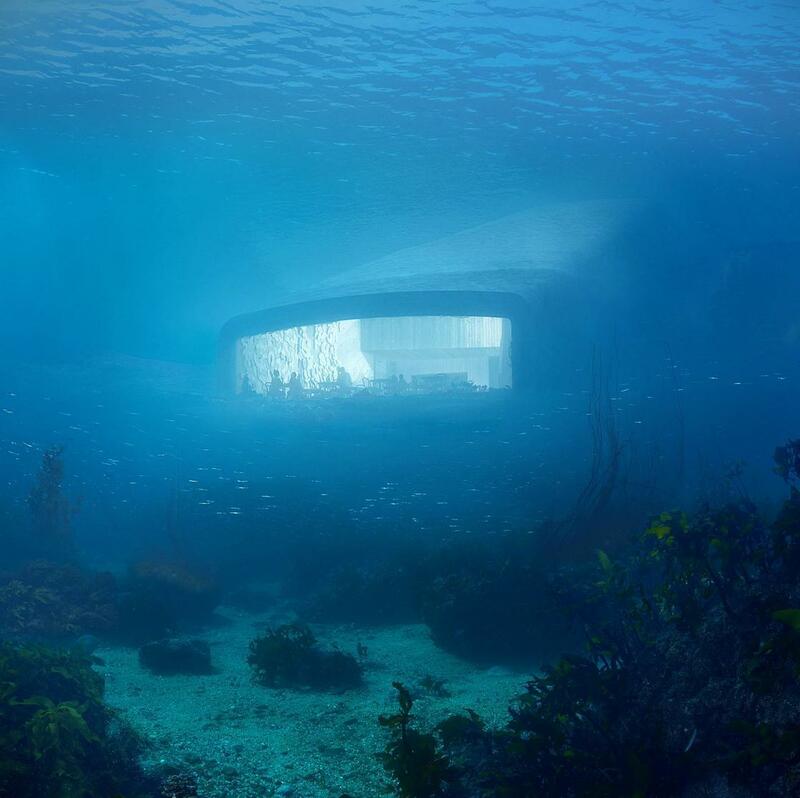 This fascinating concrete structure that sinks into the sea reveals inside a dining room, immersed 5m below the surface and opening on the North Sea with a massive acrylic glass. 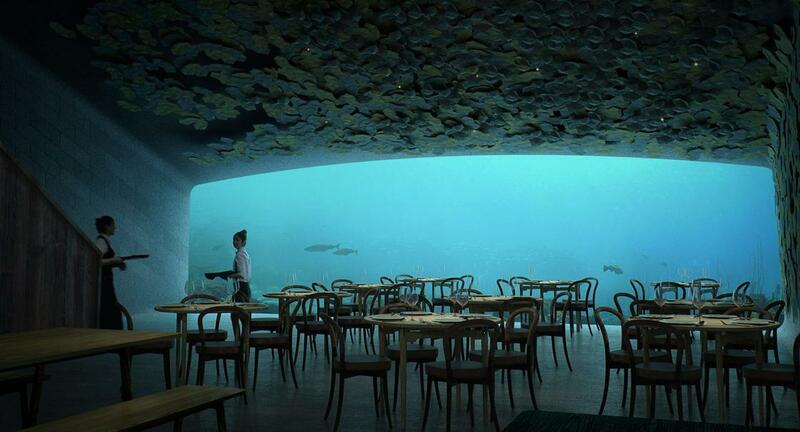 In addition to the restaurant, UNDER will also be a marine research center, and will become an artificial reef for mussels by providing a new ecosystem for local marine wildlife. 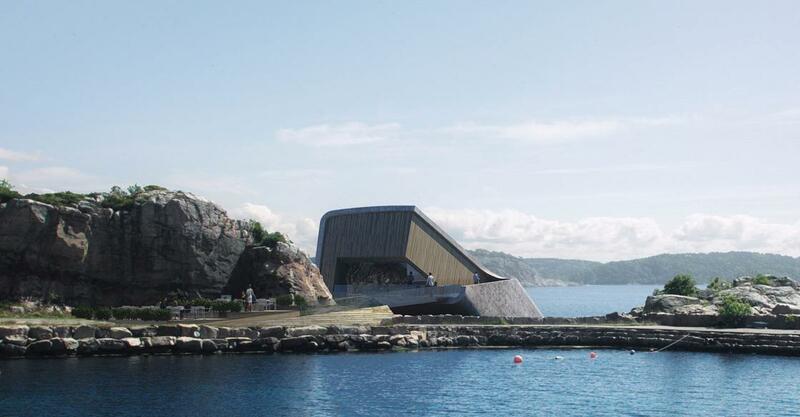 An innovative project imagined by the architects of the studio Snøhetta, which should be installed in the south of Norway, near the village of Båly.